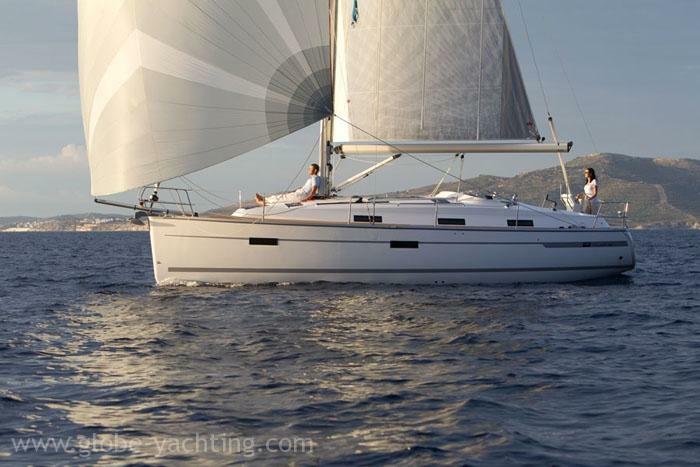 The Bavaria 36 yacht is perfectly positioned to become the sailing yacht of choice for a wide range of boat owners, technically matured and with functional features the yacht stands out from the competition combining elegance with high performance. 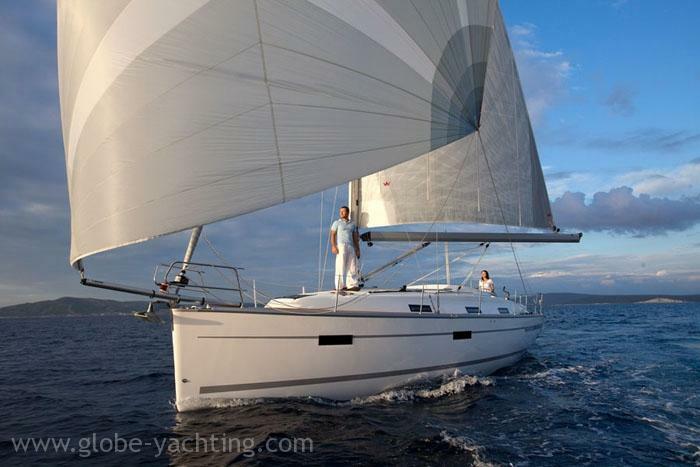 Designed by Farr Yacht Design, the new 36 is a modern performance-orientated cruising boat easy to handle for newcomers whilst technically exciting for ambitious regatta sailors. 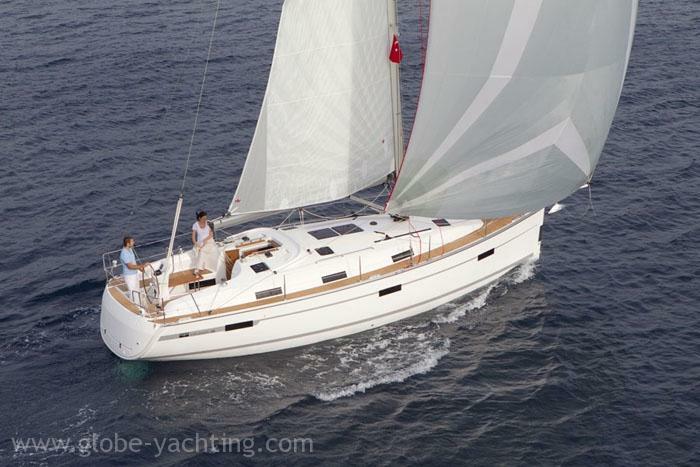 Built with comfort in mind the 36 has been perfectly designed for relaxing cruising and exciting sailing alike. 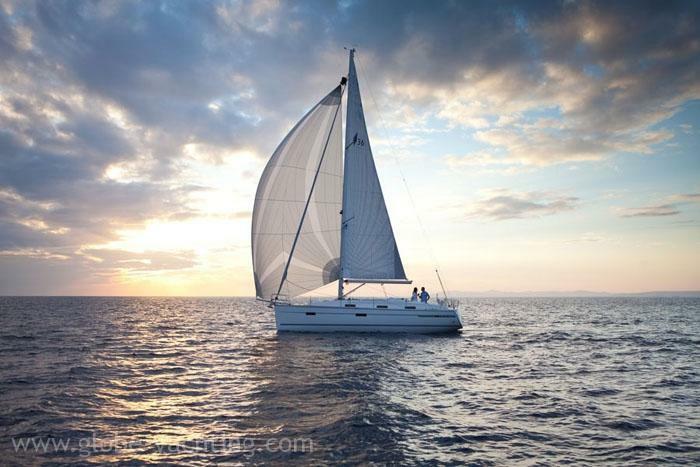 The large bathing platform, which is offered as standard serves as a comfortable seat for the helmsman while closed; when open it provides the perfect access to the warm waters of the Greek Ionian. 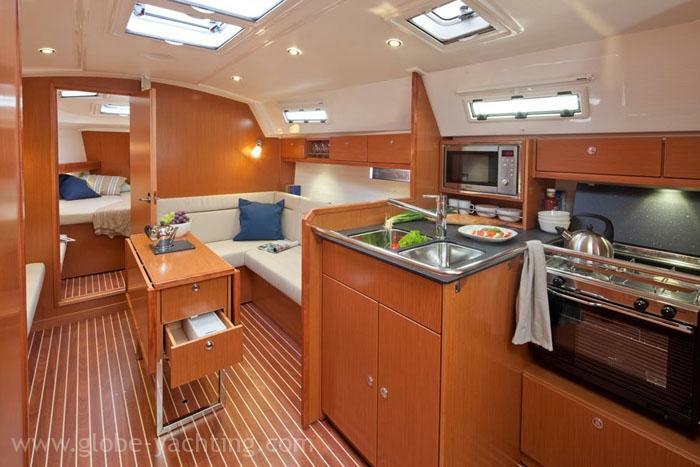 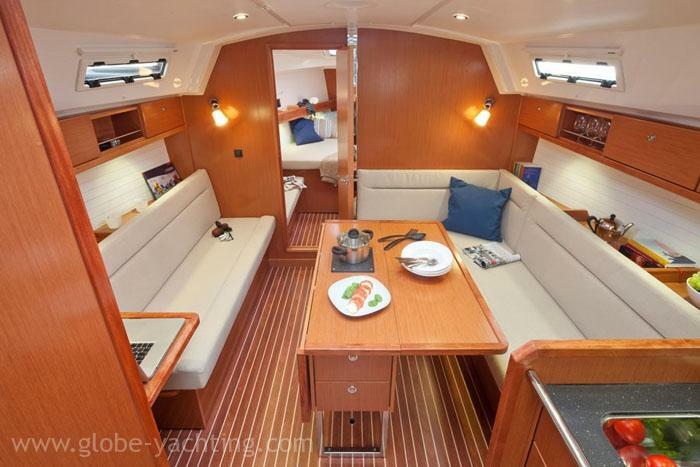 The new Bavaria Cruiser 36 has been designed with two below-deck layouts, a three cabin or two cabin option. 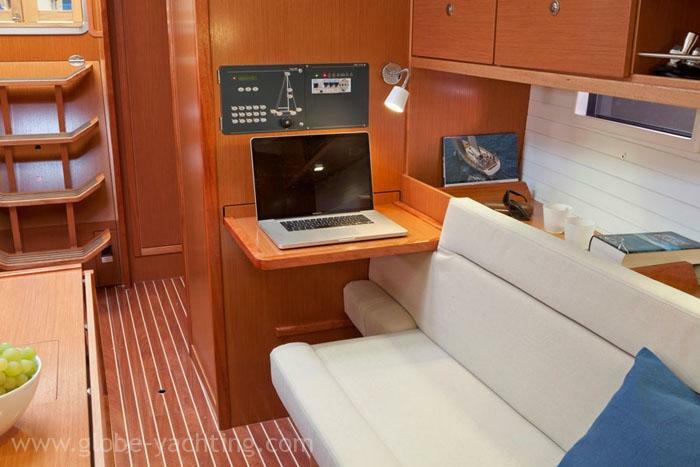 The two cabin version features a forward facing chart table and large aft heads with separated shower. 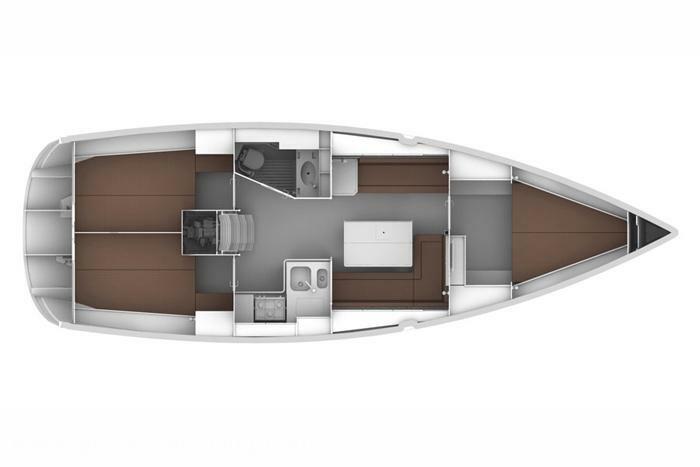 The three cabin version has a reverse chart table with the heads and shower set off the saloon with two equal aft cabins. 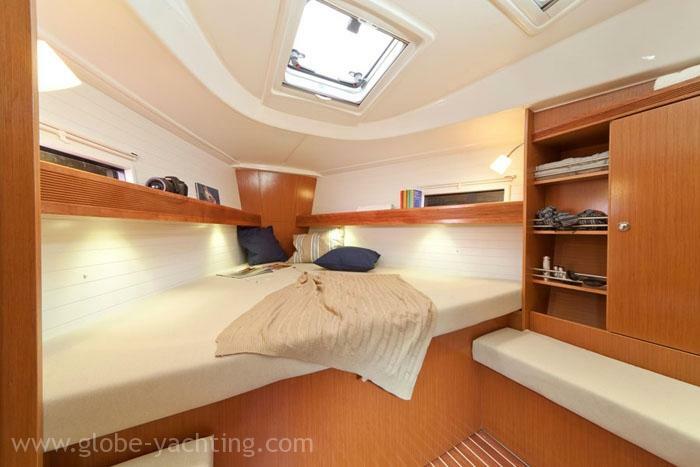 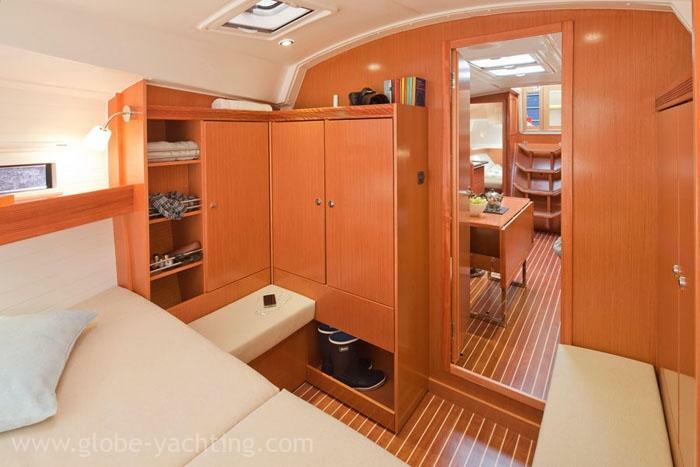 Both interior layouts are light and airy with high quality materials and finishes throughout and feature a fully equipped modern galley, a spacious seating area in the salon, plenty of stowage facilities and a total of nine opening hatches and seven opening port lights making the 36 a joy to spend time onboard.